carpet cleaning reviews Grand Rapids. Thank you very much for my service yesterday. The carpets came out wonderfully!! O.G PRO CARPETCARE did a great job on our carpet. They came in and removed all the stains. Thank you Mr Garcia ! ALL THE STAINS ARE GONE! WE HAD O.G CLEAN OUR CARPET, POWERWASH OUR DECK, AND DETAIL OUR CAR INTERIOR, EVERYTHING LOOKS NEW AGAIN, AND IT COST ALOT LESS THAN WE THOUGHT. WE WILL RECOMMEND THEM TO OUR FRIENDS AND FAMILY. Robert has a very good cleaning service. I will definitely use more of his other services in the future if other unexpected things may arise, thank you very much O.G PRO CARPET CARE ! cleaning service. Kudos to you – I am so happy. This guy is the best!!! Other carpet care companies can not compare to his care and satisfaction! I just had my hallway and 2 rooms done and first of all….the price was unbeatable and secondly the carpet looked brand new. I had some stains that my kids had left from years ago. I just resolved to that fact that they were there to stay. But OG Professional showed me different…they are gone and I am so satisfied!!! Thank you Mr. Garcia!!! carpet cleaning grand rapids mi. i’de like to thank og professional carpet care for the awsome job they did in cleaing my very dirty capets ,and for doing it on such short notice. They also gave me the best price in town on this very bad economy that we are experienceing, it’s good to know that some people have a heart and know what the low income people in this country are going through, so with that being said they are very helpful and curtious, respectful, kind and most of all very hard working and go beyond thier job,they do it til they aprove of thier work, that is ecellent in my book !! Wow, O.G professional carpet care is very reasonable for the work they do ! They came in and cleaned all of my furniture and scotch guarded it. For the work they did I dont think they charged enough, we have pets that sometimes make a mess but you couldnt tell after they were done. I am always going to recommend them to any one and every one.. Thanks O G professional carpet care ! 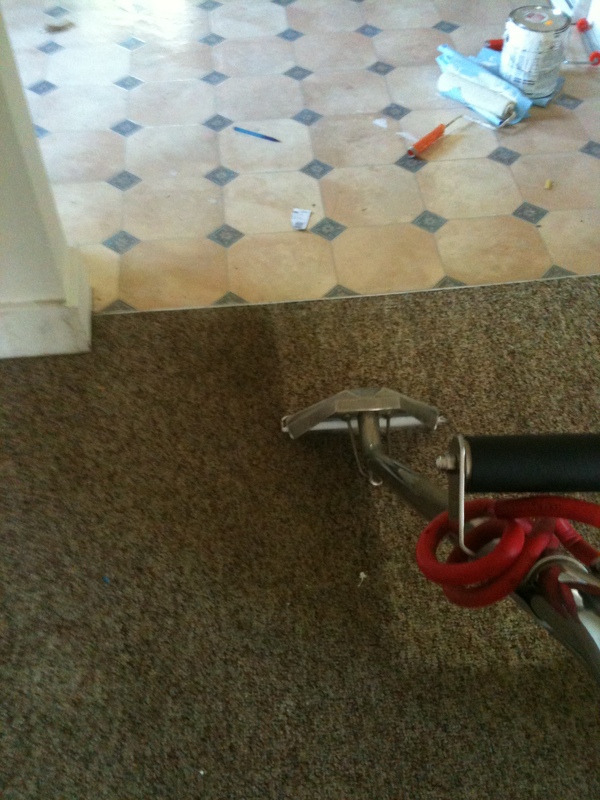 I hired OG Professional Carpet Care to treat and clean my carpets, tile and house. I had never met Robert or had experience with the company previously, but decided to call them because of all the great reviews. After my initial conversation with Robert, I knew I had made the right decision. Robert was very thorough, responsive and reasonably priced. He completed the job efficiently and worked around my time constraints. I will definitely use his services in the future and would recommend him to anyone looking for a cleaning company. Thanks for making this easy for me!! Just had OG Professional Carpet Care here for the second time. Several months ago my grandson threw up on his bedroom carpet. It was a horrible smelly mess. That is until Robert got here and cleaned the stain and order up. It was like new carpet when he got done. So we called him again to do some carpets and living room chairs. He came, today, and cleaned them up at a reasonable price. He makes sure it is done right before he leaves. And it doesn’t take three days to dry like someone else we had in the past. We would recommend him to anyone for any job. We just had OG Professional Carpet Care here for the second time. Robert, you are the best and you do it Professionally. I just can’t believe how great the chairs and carpet look. You’re prices are reasonably and it doesn’t take days to dry.Thanks so much O G professional carpet care, and thank you for being so curtious. Robert of O.G Professional is the ONLY carpet cleaning business that I have service my carpets,because he stands by his word,principals and experience as a carpet cleaning service/owner. He will make sure the job is done right,let you know what you really need and NOT up-sell just to pad the job.Robert and his business are true examples of integrity and experience in carpet cleaning. Robert does a fantastic job cleaning carpet. I’ve used the other companies and had concluded that my 20 year old carpet would need replacing (due to my granddaughter’s make-up stains, pet urine and everyday dirt). Robert to the rescue! He patiently assessed the stains and worked tirelessly to get my carpet looking like new. And, my house finally smells fresh. Thank-you Robert….you are a God-send (and so patient)! I just had Robert clean my carpet for the 3rd time. He is the man my carpet looks great everytime. I won’t use any one else but Robert. With OG carpert u will be extremely satisfied!!! Thanks Robert!!! Thank you for fitting me into your schedule today! I appreciate the many “lessons” you taught me in proper carpet care. My carpets look great and I now know how to better care for them between cleanings:). Thanks again! Robert and his son came on Halloween to clean my carpet. I could not have asked for better service. When they were done my carpet looked new! It still does. Robert was kind and polite in all communication I had with him. I would recommend his services to everyone! Robert was flexible with scheduling a time to clean a rug and chairs. He is quite knowledgeable with regards to the best methods to get rid of certain types of stains as well as giving us a few home remedies to take care of stains in-between cleanings. Thanks again.